Les Combrailles is a really delightful countryside region of discreet harmony that will gradually reveal itself to walkers during their visit. 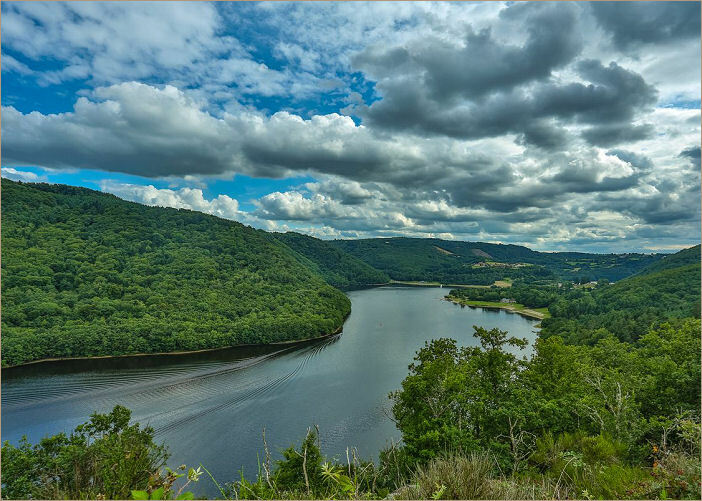 It is home to some exceptional natural landscapes and panoramas, with gorges, waterfalls, the Gour de Tazenat, petrified water sources, the Méandre de Queuille, châteaux and Romanesque churches enhancing the beautiful natural features. The Chaîne des Puys, crater lakes and forests make for some unique landscapes. The wide range of natural spaces means all sorts of activities possible, including hiking, horse riding, mountain biking, golf, hot air ballooning and fishing on the Sioule river.